Fancy working for a company that cares about your work/life balance and focuses on your performance rather than the time spent at your desk? The Dentsu Aegis Network provides best-in-class expertise and capabilities in media, digital and creative communications services. From driving a performance culture to meeting the individual needs of employees, Dentsu Aegis is on a mission to build a world class inclusive culture where people can be the best person of themselves. As such, they are currently looking for media planning and client partners to join them on short-term flexible assignments. Working at Dentsu Aegis offers the chance to partner with some of the biggest brands across fashion and luxury, travel, FMCG, tech, automotive, the charity sector and much more. 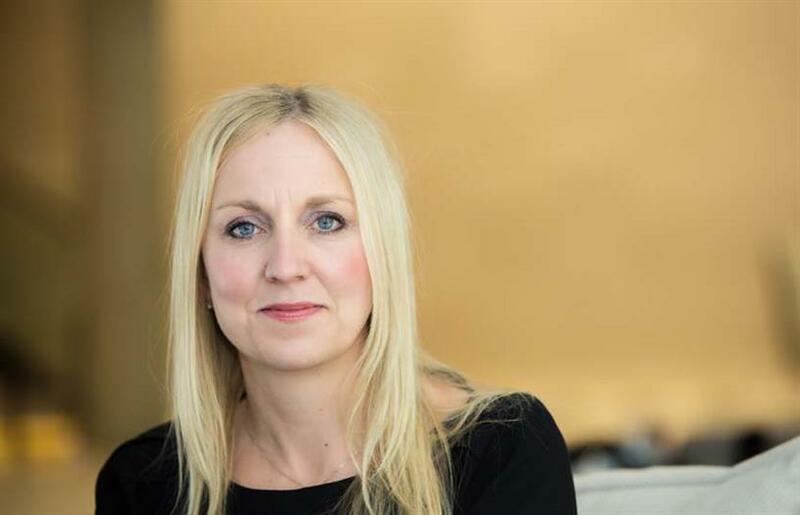 We spoke to Liz Jones, CEO, B2B Dentsu Aegis Network, to find out more about their agile working culture and the flexible job opportunities they currently have on offer. What flexible working options does Dentsu Aegis offer? We support a variety of flexible working arrangements, including working from home, part-time hours, adjusted hours and more. We are also actively encouraging our people to adopt a more agile style of working, which is about empowering the individual to responsibly deliver results but with the freedom to decide how and where this is done. We are particularly keen to hear from people who are interested in short-term employment opportunities, typically three-month assignments in media planning and client partnering, to help us cope with peak periods. The type of flexibility we can offer in each role depends on the specific demands of that position but we are happy to discuss agile and flexible working arrangements for people interested in these opportunities. Why is flexible working important? When employees feel empowered and trusted they deliver more because we are helping them manage their whole lives more effectively. Work is one part of a person’s life and we want to help them achieve a work/life blend that works for them. This drives a performance culture where people are judged on their outputs and not the time at their desks. What exciting projects is Dentsu Aegis working on? Working at Dentsu Aegis offers the chance to partner with some of the biggest brands across fashion and luxury, travel, FMCG, tech, automotive, the charity sector and much more. Our unique operating model with one P&L for each market also means that our network truly embraces and enables collaboration across our various agencies, including Carat, Vizeum, iProspect, mcgarrybowen, and John Brown Media to name a few. In addition to some of the best and most rewarding work available in the industry, we’re on a mission to build a world-class inclusive culture where all our people can be the best version of themselves. This is demonstrated by our recent announcement that we will enhance company shared parental pay to match our maternity and adoption offerings. Dads and co-parents will now be able to take up to 20 weeks leave with enhanced pay, which we see as a game changer for work/life balance. Alongside your day job, there is the opportunity to get involved in initiatives like our newly launched LGBT+ network called ‘&PROUD’, or supporting the work we are undertaking to support working parents and around mental health and wellbeing. Who might these flexible opportunities appeal to? These might appeal to a variety of people including parents looking to return to work but not wishing to commit to a permanent role yet, experienced media professionals who are semi-retired, or freelancers who simply like to work a bit differently to the typical routine of a traditional work pattern. It could be as simple as a long commute. We don’t mind what your motivation is for wanting to work differently, we’re interested in exploring opportunities where our business needs complement the needs of each employee. What skills and experience will the successful applicants need? What are your top tips for candidates applying for these roles? Be honest about what you are looking for. Don’t be afraid to ask. This is true of the working pattern someone wants and also about their career desires and needs more broadly. We can’t promise we’ll be able to offer everyone what they want 100% of the time, but we can promise we’ll discuss it with you honestly to work out what could work for both parties. Interested? Click here to apply or get in touch with Laurie Higdon at Laurie.Higdon@dentsuaegis.com or on 07342 057 228.